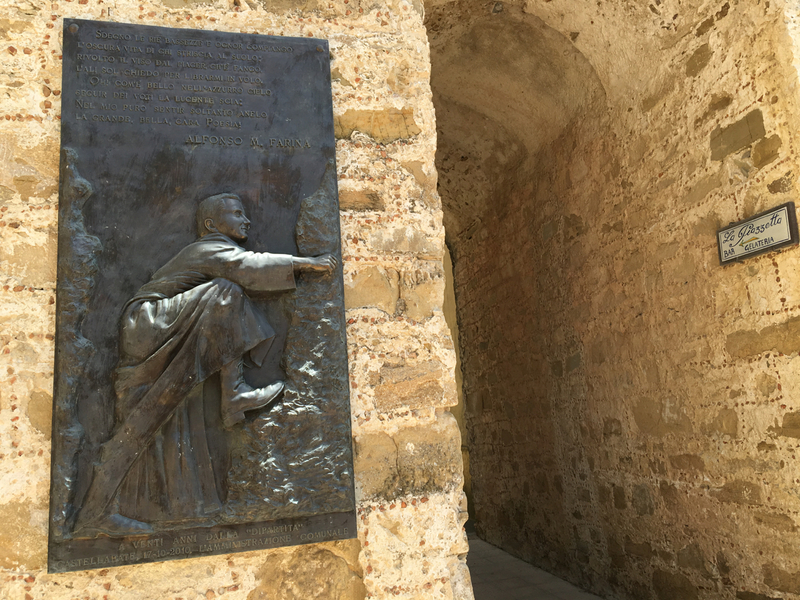 A statue in Castellabate commemorating the foundation of the Abbey of the Santissima Trinità in 1011 in Cava di Tirreni which led to the arrival in the area of Abbot Costabile Gentilcore in 1123. 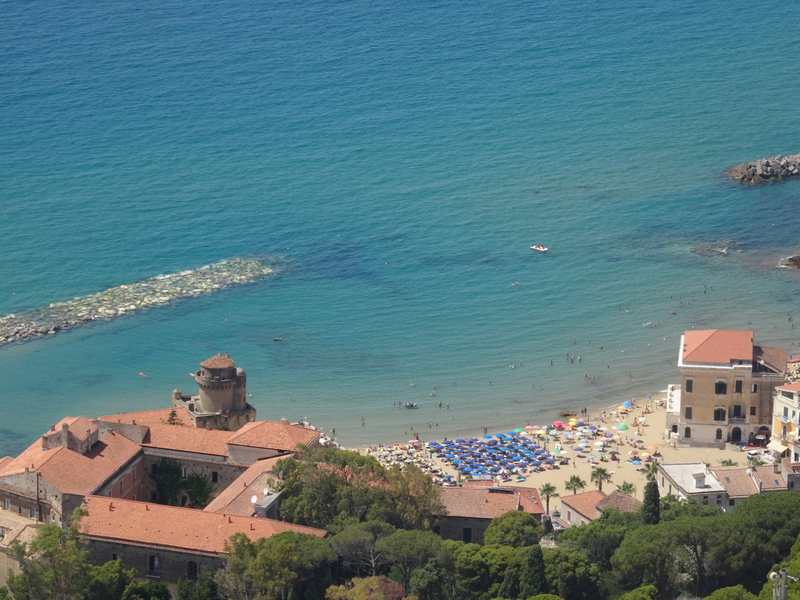 He built the fortified castle (Castellabate) to help protect the locals from the Saracen attack. 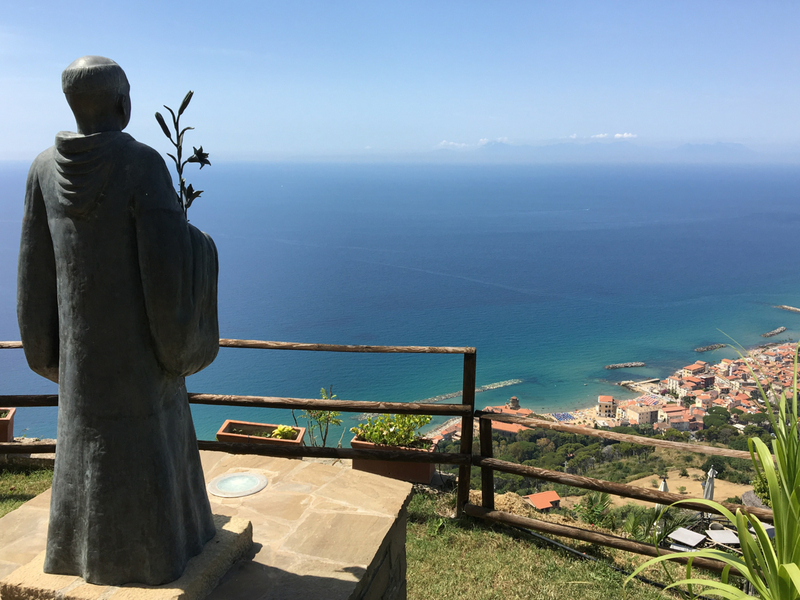 The cheerful Benvenuti al Sud is a ‘brace-yourself-for-Naples’ film set in Castellabate, a hilltop town perched on one edge of the protected Parco Nazionale del Cilento, Vallo di Diano e Alburni. 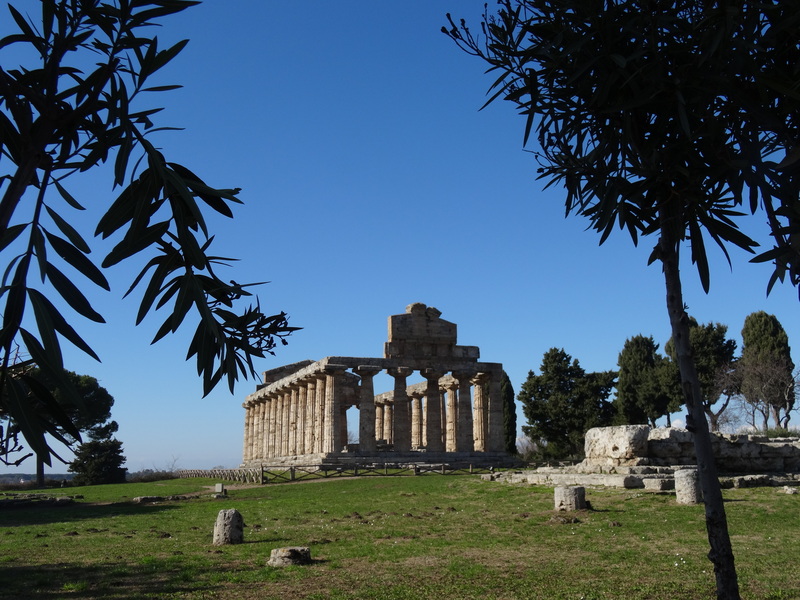 Our route there takes us through the outskirts of Naples, past Vesuvius, and on beyond Paestum, famous for its mozzarella di bufala and the beautiful completeness of its Greek temples. Quite a route, and Castellabate is a fine full stop. The centre of the old town has two piazze. 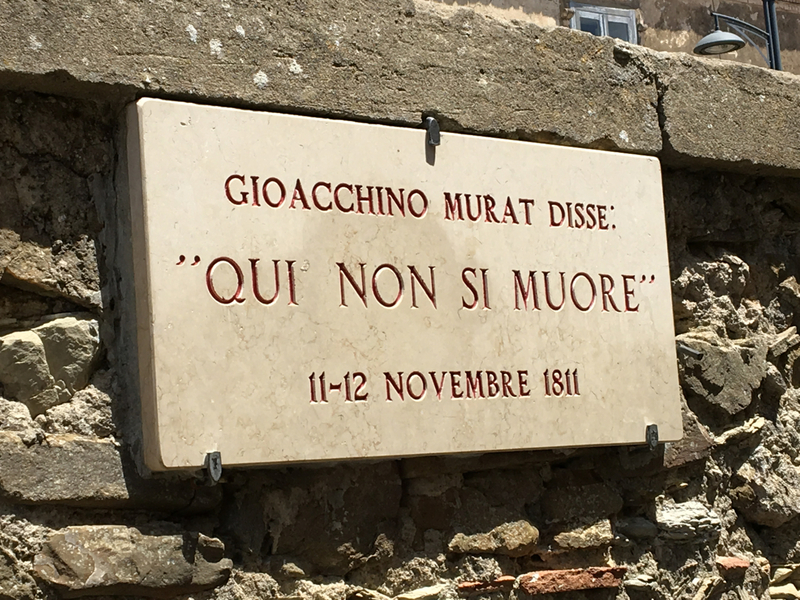 The first we reach is the one that features in the final credits of the film, Benvenuti al Sud. The square, more of a balcony really, has views out over the sea and into a sky that drifts with occasional gulls and the sound of laughter from the beaches below. We, and a crowd of about four, stand and stare … soaked in colour. 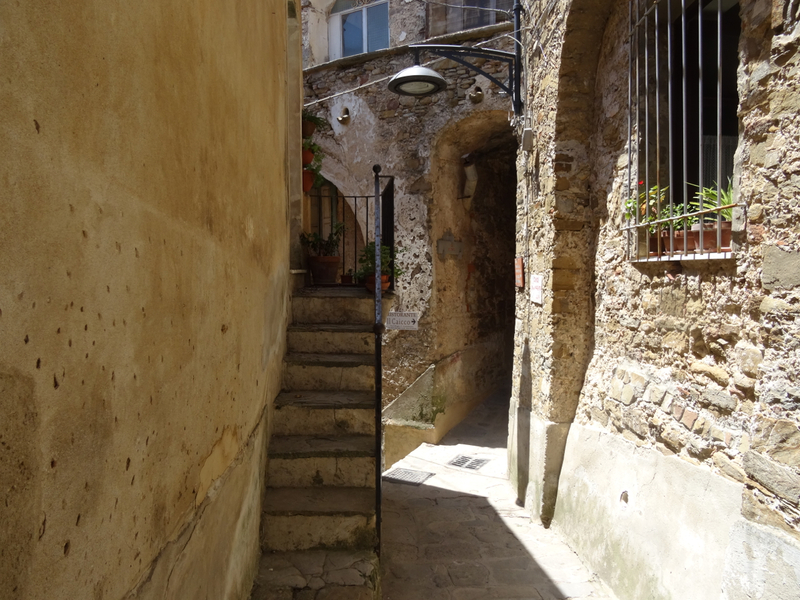 From there old, narrow streets lead us out of the piazza and further into the town. It’s a hot midday but there’s shade and many of the tight, tiny streets funnel the wind. The second piazza we visit is the one in the film that hosts the post office. It looks different without the film set and smaller than I imagined it. Cafes and umbrellas now fill the film’s pop-up football pitch. 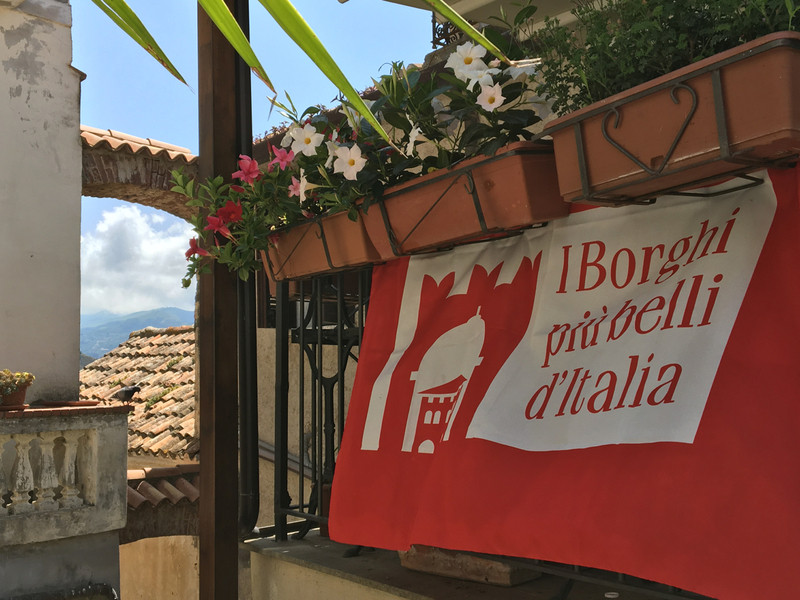 We flop in the shade for a lunch of traditional Cilento dishes – acqua sale and a plate of local hams and cheeses. 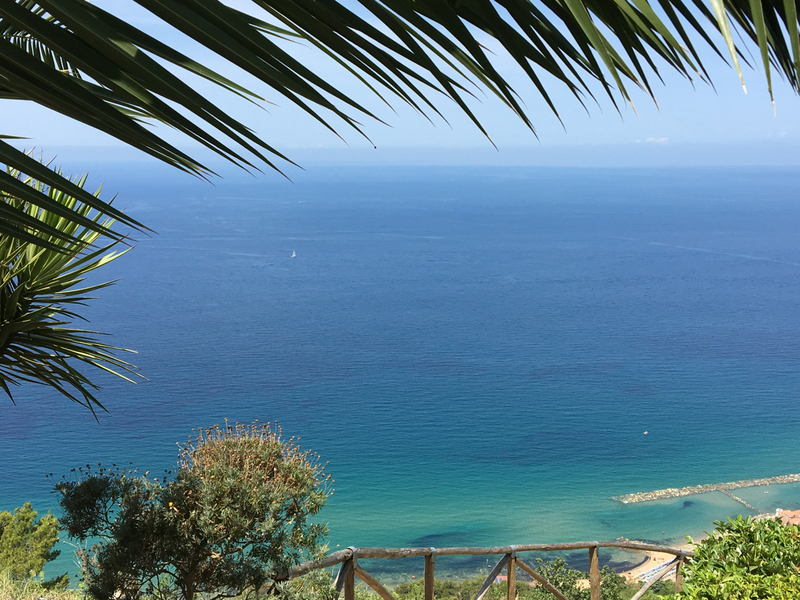 It’s peaceful and perfect – a good place to end our first taste of Castellabate. 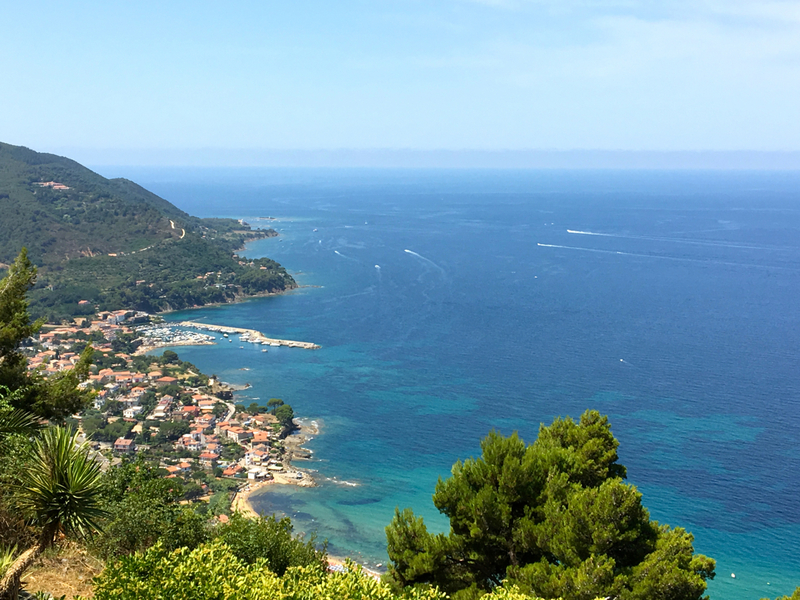 The next stage of our journey takes us deeper into the Cilento National Park. 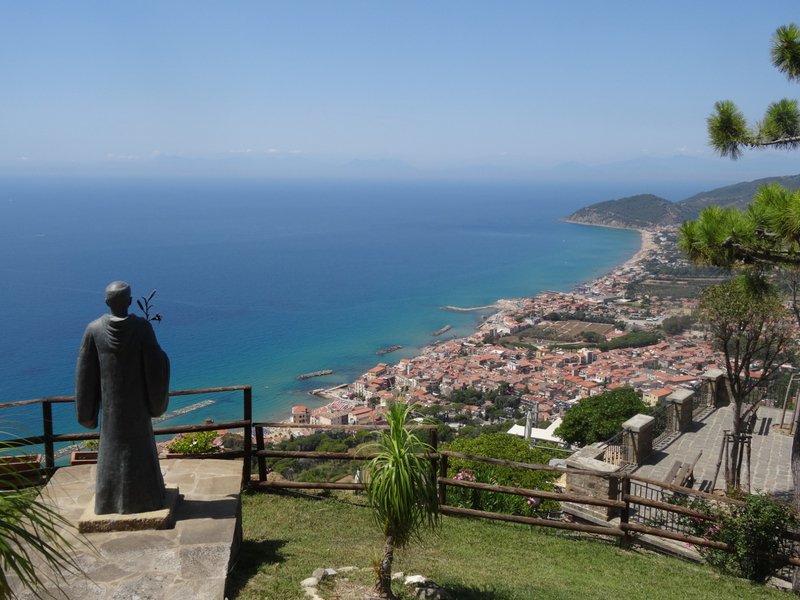 This entry was posted in Castellabate, Cilento, Italy and tagged Benvenuti al Sud, Castellabate, Cilento, Italy, Paestum. Bookmark the permalink. thank u this was very enjoyable. Georgie, thank you! How I love that film- one of my favorites. How wonderful to have actually visited the location. Sadly we never made it down there. Wonderful photographs!